Speedcast International Limited (ASX:SDA) (OTCMKTS:SPPDF) has launched Speedcast Crew Wi-Fi, a fully-managed WiFi service for crew members onboard vessels and offshore platforms — this service provides reliable, fast internet access to crew members and relieves companies from the responsibility of administering crew internet service. Speedcast Crew Wi-Fi is the latest connectivity application innovation from the company. The solution features a self-service portal and a direct billing gateway accessible from personal devices, so crew members can purchase vouchers, add credits or change plans as they wish using credit cards or PayPal. Speedcast Crew Wi-Fi allows users to contact their families, browse their favorite sites or social platforms and access music and television content on any device, from anywhere. Speedcast Crew Wi-Fi can be set up over existing, new or dedicated antennas. Crew consumption limitations can be set at the user level for any free onboard services provided by customers, and offers higher throughput, unrestricted, better quality service against paid data allowances for crew members. Tim Bailey, EVP, Products, Marketing & Business Development, Speedcast, said that with the digitalization boom, crew are demanding more bandwidth to support their communications and entertainment needs. 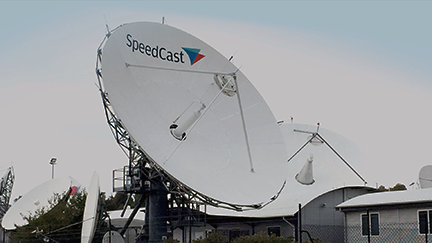 Speedcast Crew Wi-Fi provides the firm's customers with a simple internet option for crew without the burden of administrating or managing the service, enabling customers' networking and IT teams to focus on their business. his innovative offering shows Speedcast's commitment to the firm's customers' communication needs and improving crew member's satisfaction and retention.